I've accepted an invitation to speak and do a book-signing at the Auburn Avenue Research Library in Atlanta on Monday October 19 at 6.30pm (free admission). I’m especially pleased that the Auburn Avenue Research Library - a crucial and leading African American Atlanta institution - should show such interest in my research and my book. I'd begun to rue the fact that with the exception of the Douglass Theatre in Macon (OCT 15, 7pm) I seemed to be booked only by traditionally white institutions. I leave for the States on Wednesday. 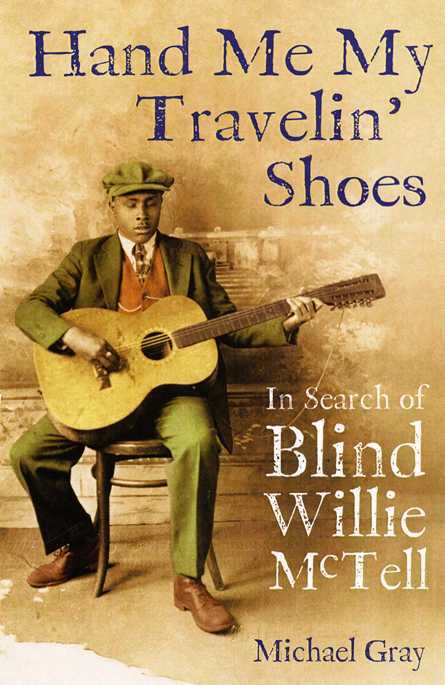 WELCOME TO BLOGGING ABOUT A BOOK ABOUT BLIND WILLIE McTELL..AND BLOGGING ABOUT PRE-WAR BLUES IN GENERAL..
North American hardback published September 2009 by Chicago Review Press. 448 pages. US$26.95. ISBN: 9781556529757. London: Bloomsbury, July 2nd, 2007. Hardback 1st edition. ISBN: 0 7475 6560 0; ISBN-13: 978-0747565604. £25. The first UK paperback edition was published on October 6, 2008. £9.99. ISBN: 9780747565611.